This series is absolutely amazing. I've read all the manga and some of the light novels, and I love this series. This anime will be and is absolutely amazing. I recommend reading the manga or the light novels because this is just a masterpiece. I just watched the first episode on youtube and came on here to see if the second episode was out. Well it isn't, so rip that I have to wait I just wanted to write the review to say I loved the beginning and believe that other people should watch it as well. Expecting great things out of this anime. I was worried about a weak lineup of shows this season, thankfully this is a thing. Thank god for this, i was worried there wasn’t going to be anything for me to enjoy this season, the lineup looks weak but after watching the first episode I knew i found my new #1 show to look forward to each week. I liked it enough that i’m torn about reading the series online. This is what will fill my goblin slayer slot as i impatiently wait for the next season to be released. Starts a little silly and i had a heavy gut feeling what was going to happen but it happened i a fashion better than hoped. I have high hopes. I hope this ends up being gritty like goblin slayer. As long as they follow the manga plot it should be good. I have been following the manga of this anime adaption and as long as they follow the manga plot, which they should they have enough content for at least one season, then I think most people will find this one to be about as good as That Time I Got Reincarnated as a Slime. After reading the manga I have to say this is one of the best anime adaptation. Watching the first preview I knew this was going to become an instant hit. The characters in the anime are so hateable that sometimes it gets you screaming. It's a story of betrayal that turns into an emotional packing anime. The dialogue between the characters seems to focus less on eloquence and more on being as provocative as possible. Some may find this tedious. Those more familiar with aesthetic tropes may find it a bit on the nose. The main reason to watch is mostly cathartic. It capitalizes on the consternation it creates with dynamic character change. I want to punch people in this anime and I can't wait for mc to do it for me. This, so far, managed to have good twists and plot points that did not feel to obvious, it has amazing and simple world building, and manages to keep the edgy main character, while giving them a good personality as well. the animation and sound are really well done, the bits and pieces of 3d animation are hard to pick up on. it gets nearly full marks in almost every way you can judge an anime. as long as it does not go south, we are in for an awesome ride. I am a fan of the Light novel and have Extremely high expectations for the series. 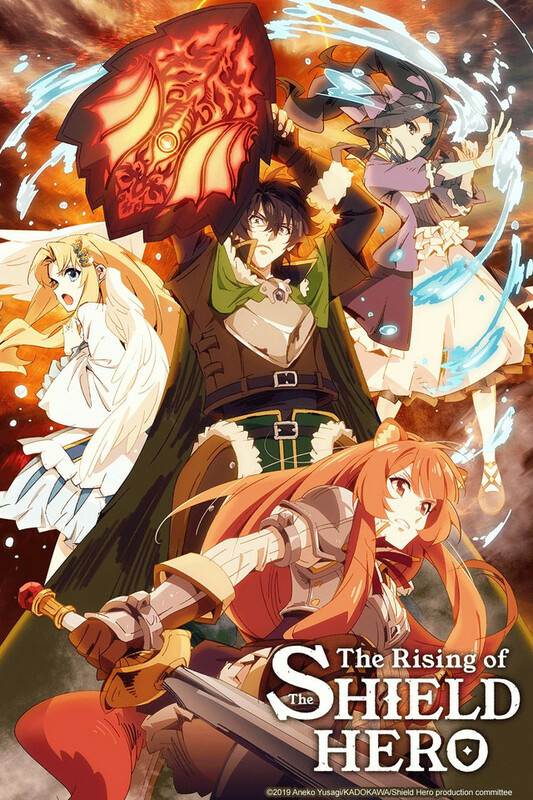 As of episode 1 I can say they have they have more than reached accomplished what i was hoping for except for 1 thing which i will have to wait till the next episode to see so for now i will give 5 stars(4.5 wasnt an option), but as the series goes on I will continue to hold the bar high while hoping this shield hero continues to outperform. Now onto more detailed review. Unlike many first episodes which try to set everything into a small 20 minute window. This preview being 45 minutes was a brilliant start. There was a lot of information needed to set up this world and place the characters where they needed to be and i was highly worried about how they would manage this. With the amount of detail they put in the only thing that was lacking was the in depth character stats that the shield has for each time items were absorbed. instead there were some brief shots of the stat pages, this feels so much more natural than the MC stopping to talk and explain everything to the mysterious entity on the other side of the TV screen haha. There are a few issues i have with the MC near the end of the episode that i liked much more in the LN but it wasn't enough for me to lower the rating to 4 stars yet. The Art is very well done though my view on this particular section is not the best as I'm very lenient to art styles (original One Punch Man ftw). There wasn't much of an OP or ED on this preview so review on that will have to wait. The Voice Acting was optimal as I didn't notice any monotone or straight up bad acting. tl:dr: long first episode but definitely worth your time. Lives up to the LN and does a great job of introducing newcomers to this magnificent series.